For many, the thought of building a home is less than inspiring. 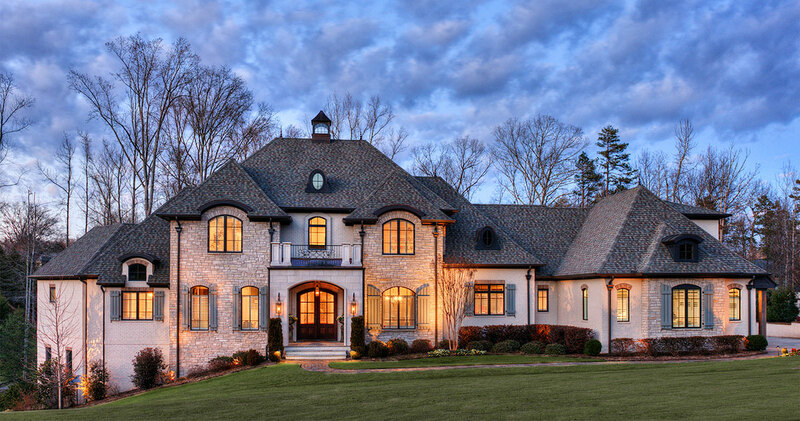 Chris Rogers and Jerry Fay, co-owners of Greenville’s award-winning Milestone Custom Homes, are changing this perception. With meticulous attention to detail, open lines of communication, and a disciplined commitment to organization, Rogers and Fay have created a proactive approach to building that streamlines choices and minimizes surprises. For more than two decades, Milestone Custom Homes has stayed true to a simple vision. "We build exclusive homes with inclusive building practices," says Fay. This means that everything from home design, construction and real estate exchanges can happen in house. Rogers and Fay know that the relationship between family and home is not only dynamic but intensely personal, and it is what inspires them to find creative solutions in everything from stunning architectural details to "future proofing" clients’ homes against a rapidly changing market. "Since I started Milestone in 1995, I’ve wanted to give my clients a more personal option for building their home. I want my customers to feel that I am listening to their needs and desires and that the home I’m building is specially tailored for their unique lifestyle. No home is cookie-cutter, but reflects the client’s personality. I was born in New York, but grew up in Greenville and have lived in Upstate SC for over 30 years. I know and love this area, the people and the culture. My wife Kristy and I and our three kids, Colin, Evan, and Maddie, call Greenville home just like our customers. I resonate with my client’s desires for a functional home here that helps them do their best work, raise their kids, enjoy their hobbies, and fosters a sense of community with family and friends. Milestone exists to create a living space for them that checks off all those boxes." "I jumped on-board with Chris in 2004, becoming a co-owner of a rapidly growing building company that had already gone from building four homes in a year to about twenty-five. My experience at a high-volume home building company allowed me to bring the high-efficiency business practices to Milestone so we can merge individuality and timeliness. Building a home is an endeavor that is time-consuming and can seem daunting, but it doesn’t have to be. By having a disciplined schedule and process, a home-building experience can be enjoyable and much less stressful. It’s my goal that our integrity and discipline makes the process easier for not only our customers, but our subcontractors, vendors, and suppliers, allowing all we come in contact with to benefit from our practices. I have lived in Greenville for about 20 years and love calling the Upstate home for me, my wife Lori, and our three kids: Ella, Kyra, and Brady. When I talk to clients, I understand their needs in a home, because they are my family’s needs as well. My wife Lori is one of Milestone’s real estate professionals, so whether you’re looking to build a custom home or purchase one already on the market, we understand how to find what you’re looking for."